Thursday, Sep 09, 2010	Miracle! 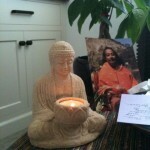 I got up this morning at 4:30, as usual, for my daily meditation. 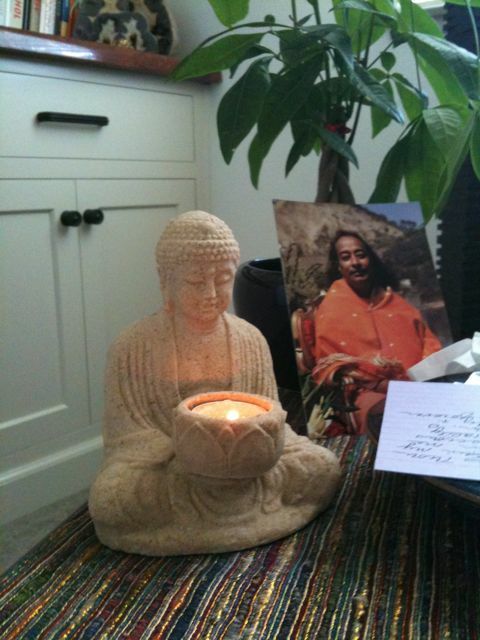 I lit the votive candle in my Buddha candle holder, as I do every morning. If I leave it burning, it will usually sputter out after about 2 hours. As of this writing, it’s been burning for approximately 10 1/2 hours and shows no signs of extinguishing. Spiritual pigs unite!